In a week and a half, all three of these kiddos will be back in school. The count down is on, this is our last full week home, so we are soaking the lazy days of summer in. 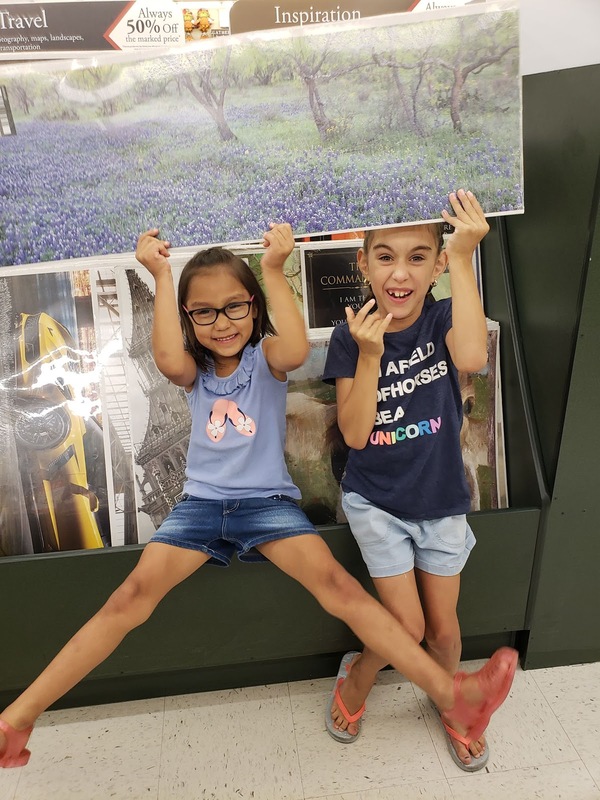 We’ve been back to school supply shopping and checking things off the school’s grade supply list. 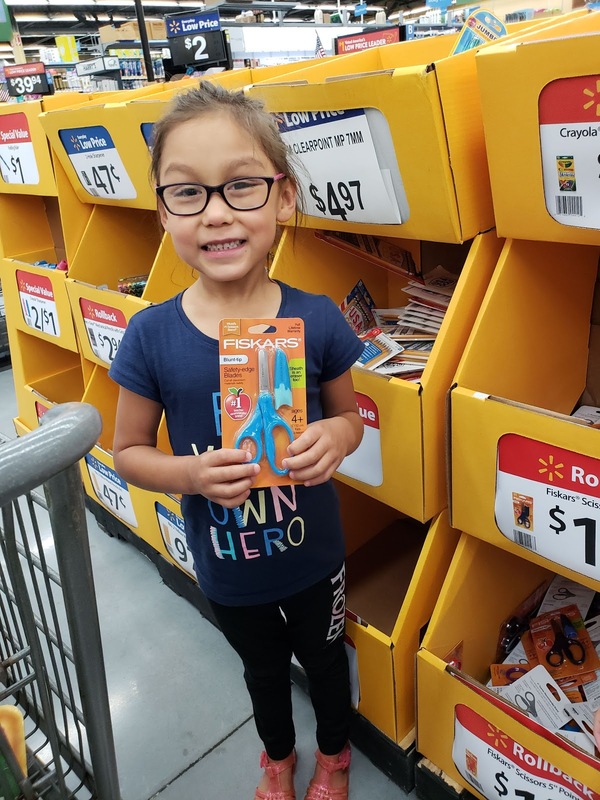 This is the first time Naomi gets to experience true back to school supply shopping!!! Although we did have to pick up a few things for Pre-K, it wasn’t along the lines of Kindergarten supplies. She is so excited and Naomi is ready, Kinder will be good for her. I honestly have a love-hate relationship with “the lists”, some of the things I don’t have a problem buying and other things make me questions what school supplies the school actually provides. We’ve also picked up a few clothing items but not much because majority of the school year it is cooler weather, so I seem to buy more clothes for them when the weather starts turning cold. One of the things that the kids were most sad about moving was to leave there old friends, especially Bryce & Maddie. Naomi hasn’t really made those connections with friends yet being that she was only in pre-k.
On the left is Bryce’s best friend from his old school and his younger brother. 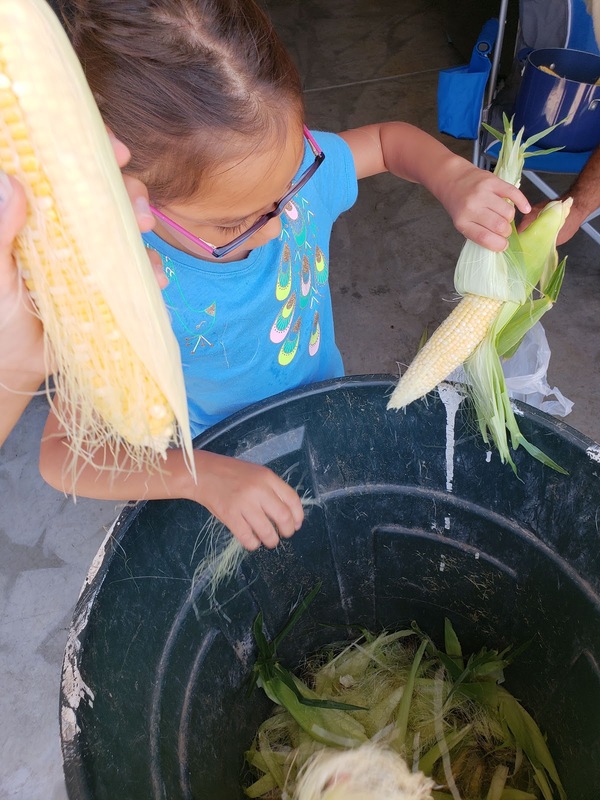 When Maddie was not with her special ed teacher, she was assigned a main stream homeroom and younger brother has always been in Maddie’s homeroom class since Kinder. 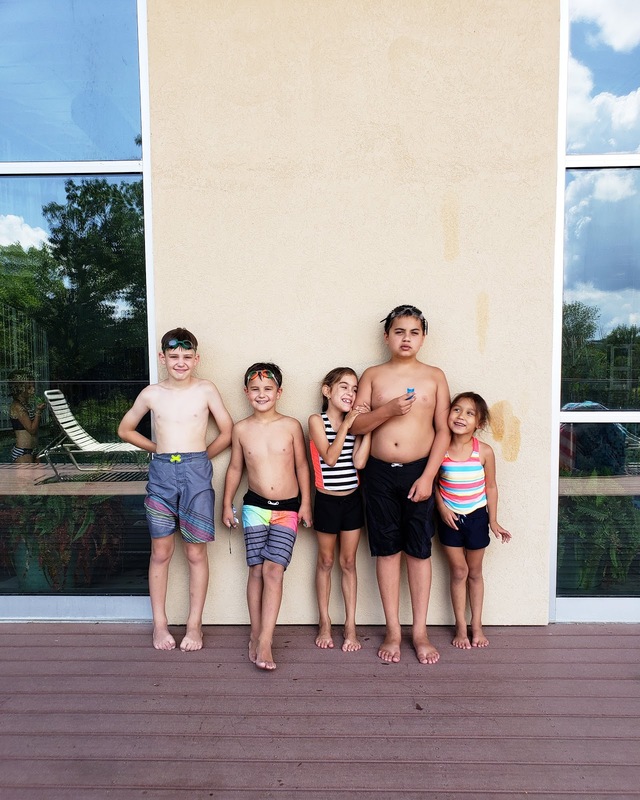 We invited them over to swim at our local community center and they had a blast! It was good for them both to see and play with each other since they are both starting a new chapter in their lives…middle school! Speaking of middle school. I went to a Middle School 101 meeting for parents last week at his new school and oh-my, it’s getting real. I can’t believe Bryce is going to be in middle school!?! 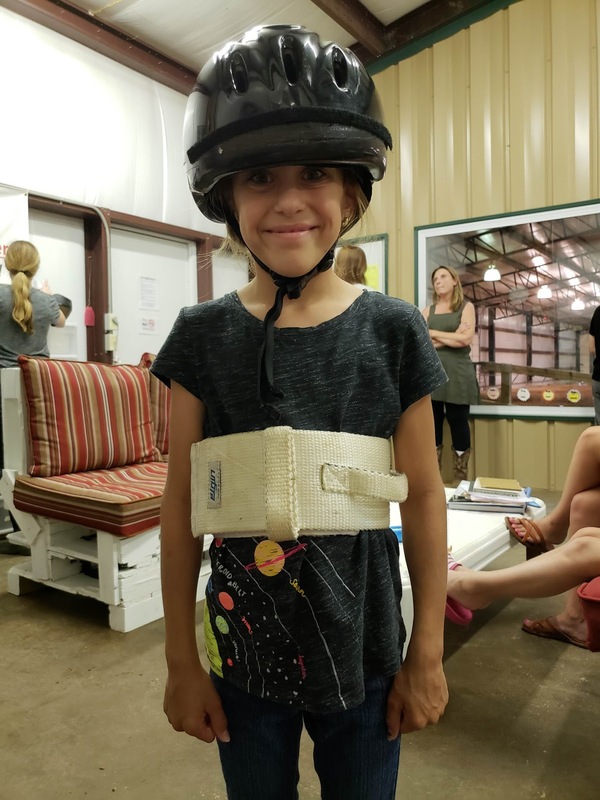 Maddie started therapeutic horseback riding lessons last week! 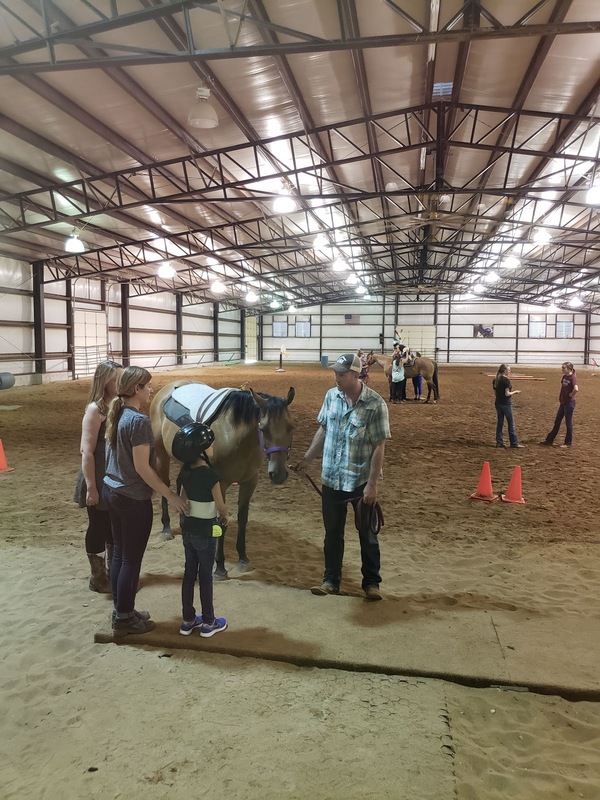 On her first introductory lesson she had to wear a belt with little handles, that helps with posture and feeling secure because they were not sure what she was capable of doing and they do this screening process for everyone. 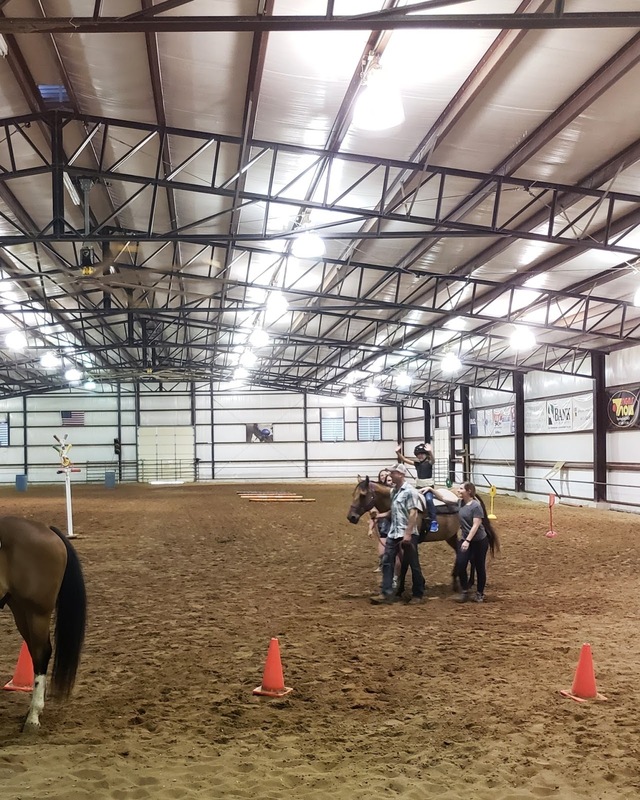 Her lessons are at a legitimate stable that is designed just for kids with special needs, that is why there are so many helper and volunteers. This was the first time she was meeting “Snickers”. 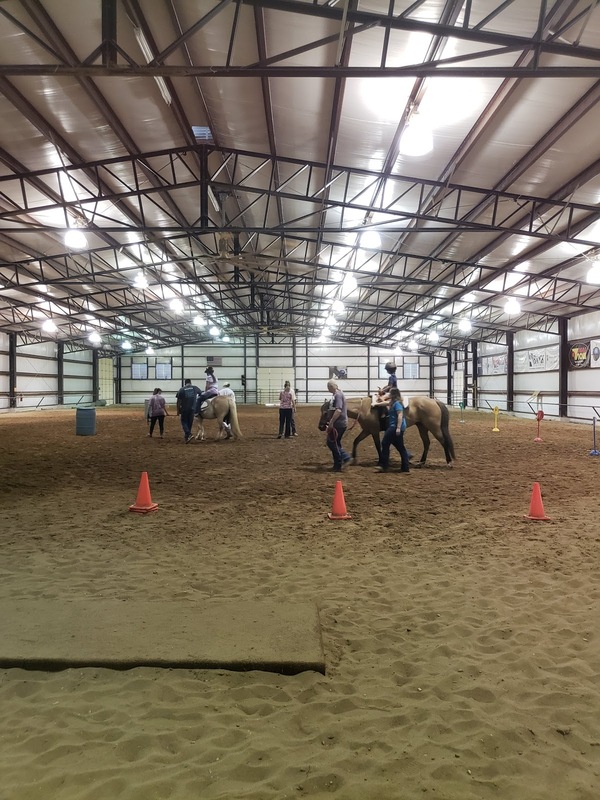 There is a therapist that attends every lessons and guides Maddie thru different things to do while on the horse. 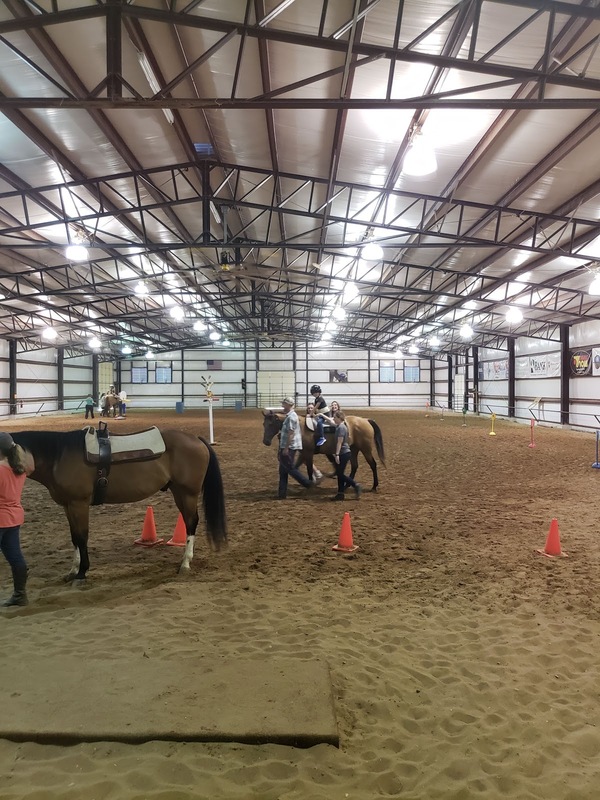 After her first introduction lesson, the therapist told me that she believes Maddie will benefit so much from this because her body moves with the horse, she’s very calm and is a natural. This made us all happy and proud of her. I explained to Bryce & Naomi how you need to support your sister and be encouraging, this is a big step for her. Just like Maddie attends and is there for everything that you two are able to do so freely. Just in the last week or two Bryce, Maddie and Naomi have made friends with the other kids in our cul de sac. 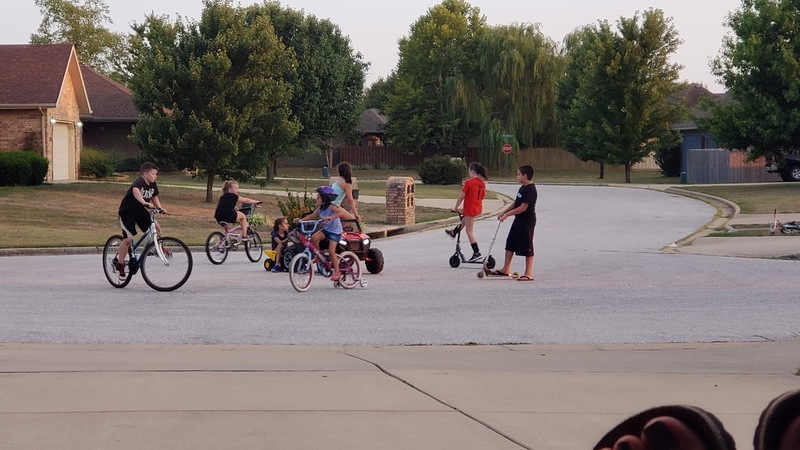 Every evening they are riding their bikes, scooters, power wheels, etc. and having fun. 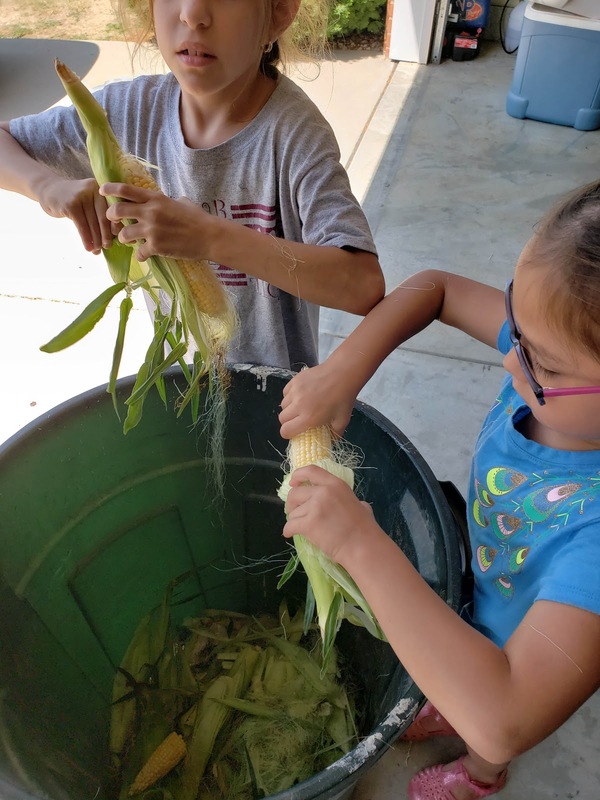 This is good because the kids and I had a hard time getting use to living in a neighborhood and not a farm. When we first moved here, they really didn’t know how to play and now, every evening looks like this. 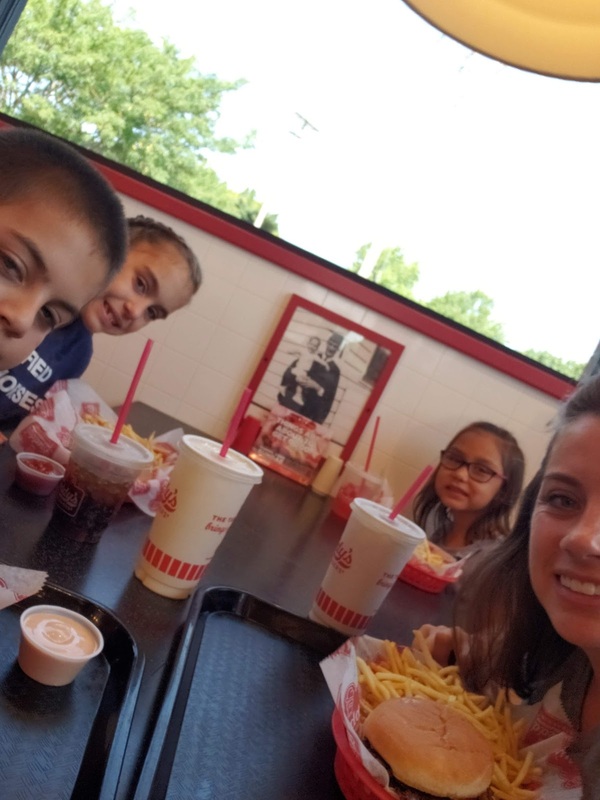 Thursday we went to Freddy’s for lunch and finished up Bryce’s school supply shopping! 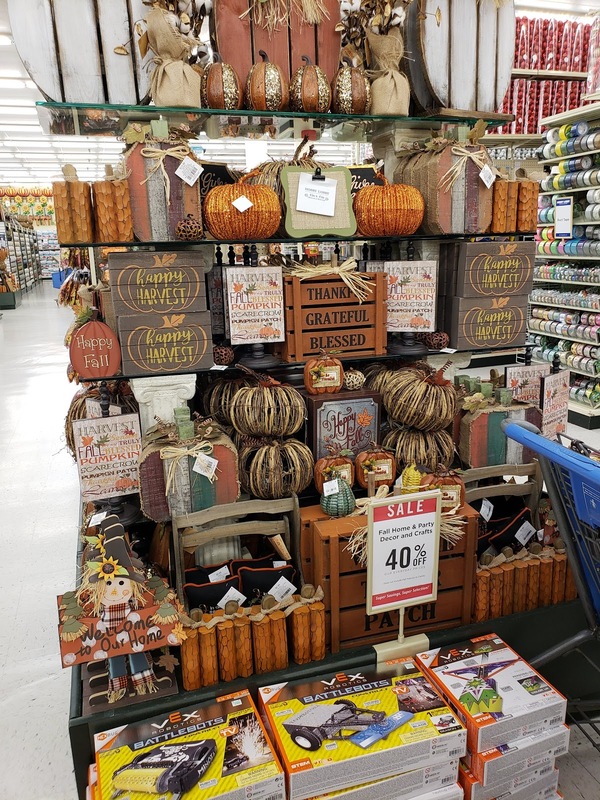 After Freddy’s we hit up Hobby Lobby to look at all their Fall Decor what they have out. I can’t wait for Fall, but after Fall means winter and I am not ready for winter weather yet!!! 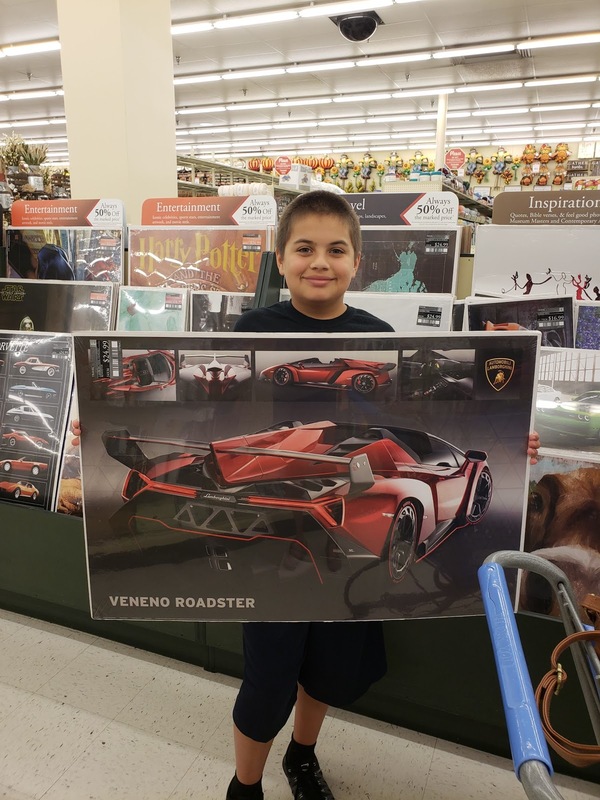 While strolling thru the store we came across these posters and the kids were looking thru all of them for their favorites. …the girls picked a field of flowers. The difference between boys and girl, ha! That evening we headed back to the stable for Maddie’s first actual “lesson”. 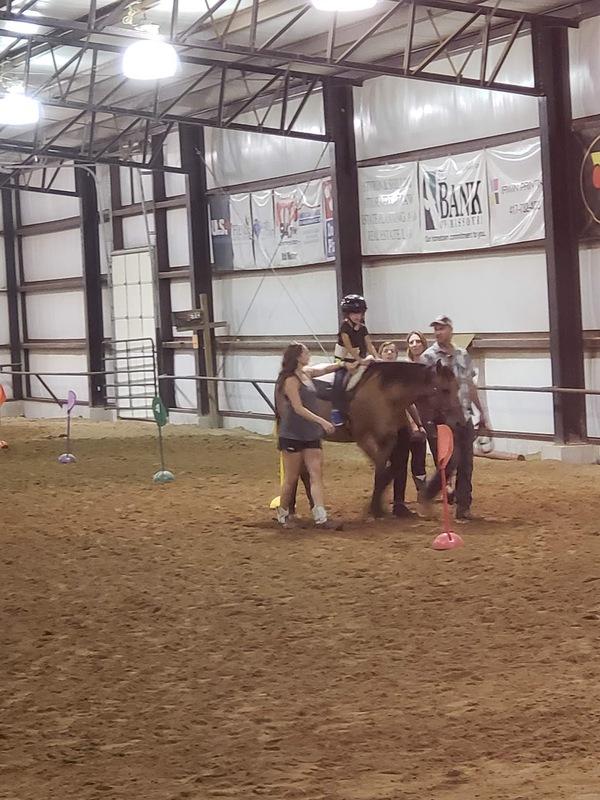 At this lesson she got to ride “Spirit”! But the other thing is, on the way to the lesson and got a flat tire. I ran over something on the highway that punctured the tire and luckily I was right next to a high school that I pulled into and AAA was right down the road. So they swapped the tire out for the spare we kept rolling. 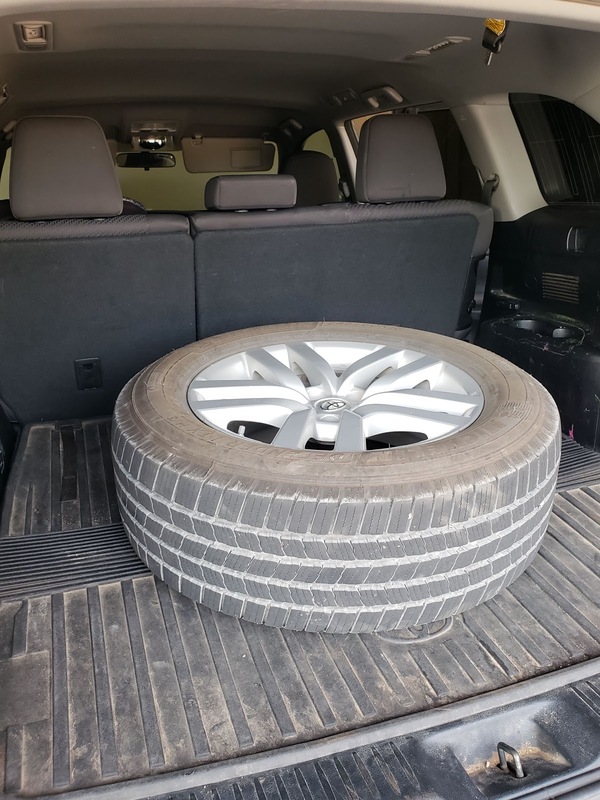 The next day I went and got the tire taken care of and we are all good! This was our last weekend before our Saturdays are filled with practices and eventually games. 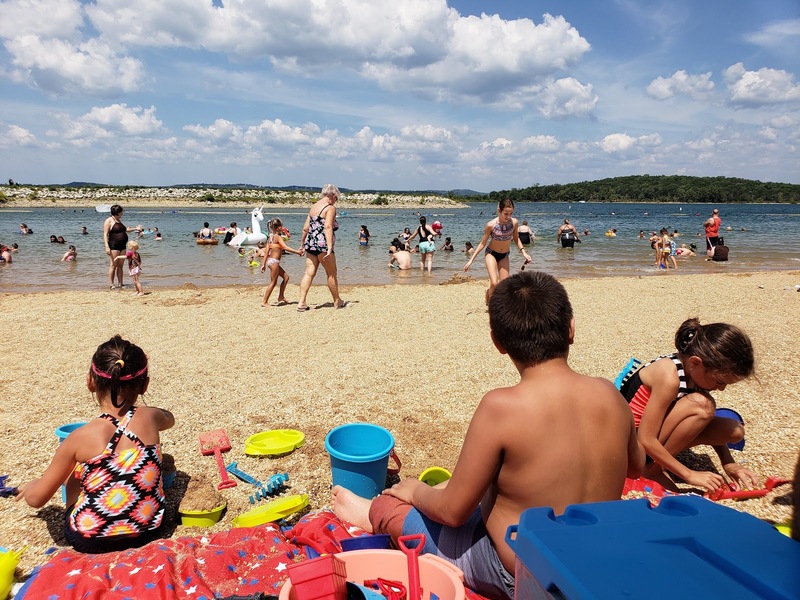 We decided to go down to Table Rock Lake in Branson and for $5 bucks you can hang out on their beach front. It really is a good deal because you pack your lunches, bring chairs and toys and float in the water and play. These days you can’t do nothing for $5 bucks as a family of five. Lately it has been so hot & humid but on this day it was still hot but there was a nice breeze coming off the water to keep it tolerable. 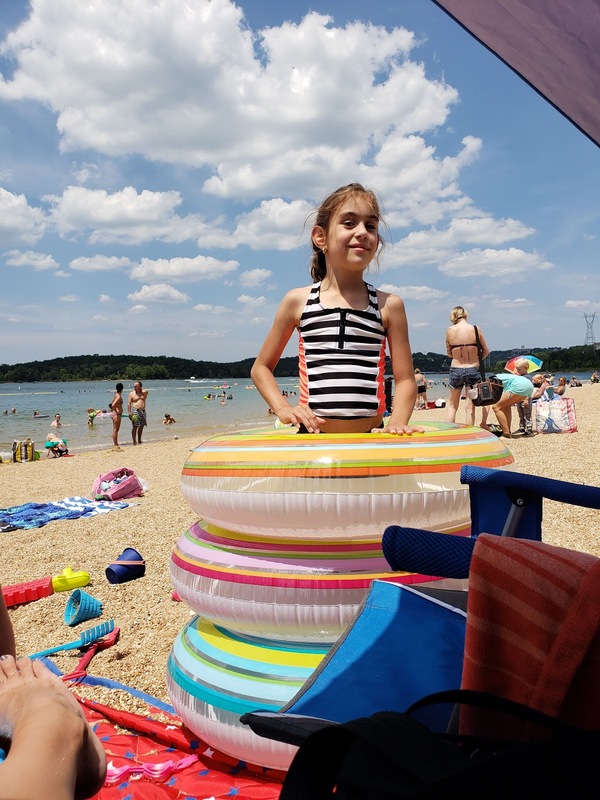 Since Maddie is not a fan of being cold or getting a chill she hung out a lot up by us and Bryce & Naomi are little fishes and it has to be something big to get them out of the water. Maddie and I walked over to the other side of the rock wall to see what it looked like over there and then on the landing area where you can look out to the lake. It’s nice to get out for half the day and just sit and enjoy the scenery. Jarret and Maddie walked up to the landing area when they say the Showboat Branson coming thru. 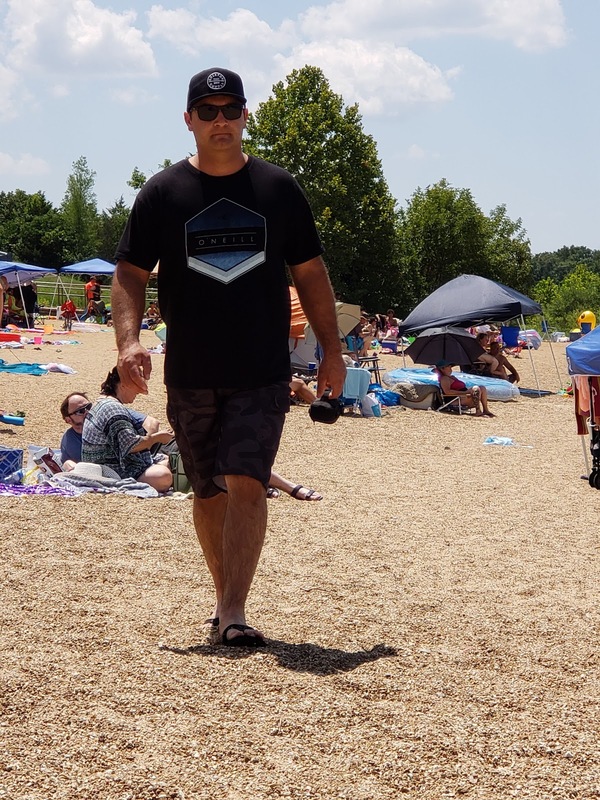 Jarret took this pic while I stayed back and kept an eye on the Bryce and Naomi. 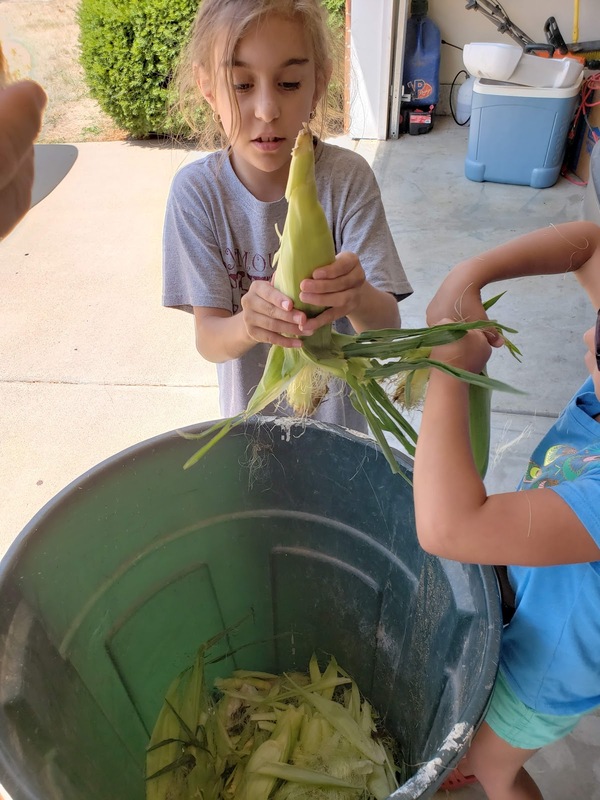 It’s always fun having kids help you shuck corn. I was teaching them how to do it and they were having so much fun! 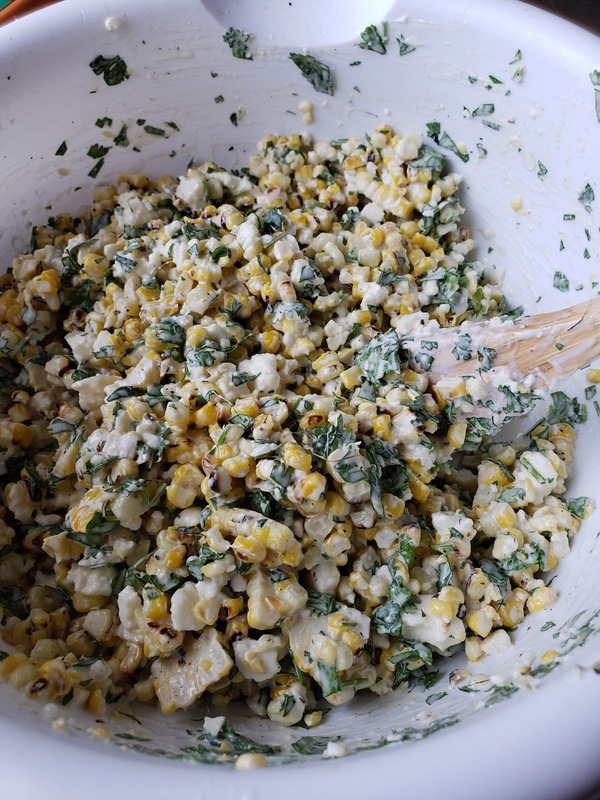 I was using the corn to make Laura Vitale’s Mexican Style Street Corn dip…it is so good! 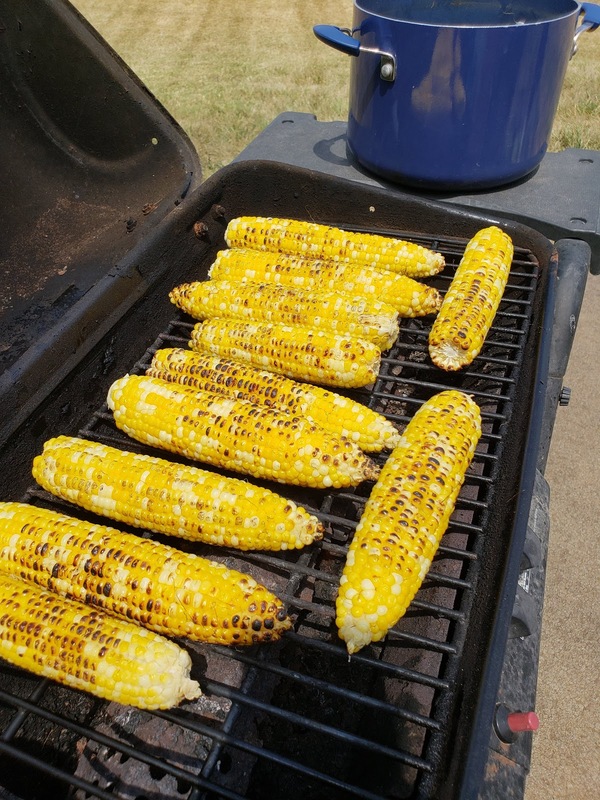 I like to char the corn first to give it that smokey flavor. There you have it, serve it with tortilla chips and there you go or serve it as a side to fajitas, steak etc. 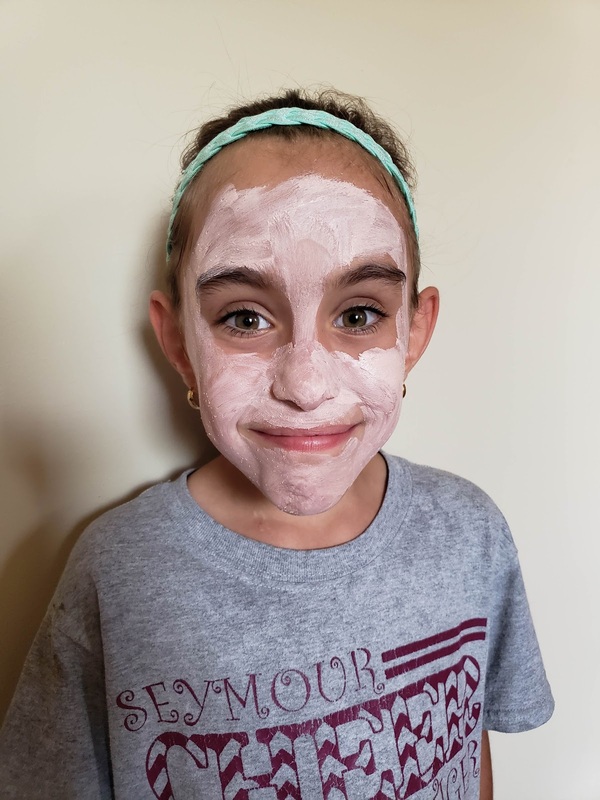 Maddie is obsessed with the idea of a spa day or pampering with beauty products. 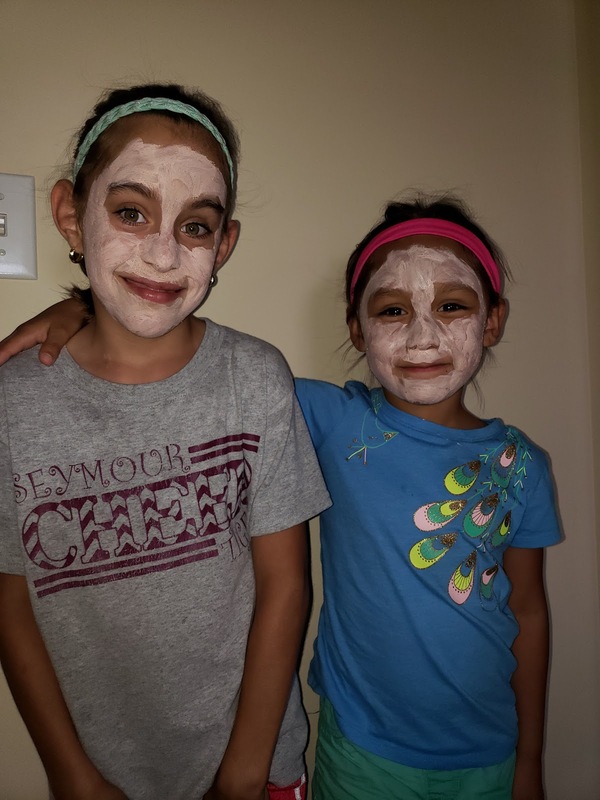 A few weeks ago my sister and her daughter were masking with avocado on their faces and after that Maddie wanted to mask. So Sunday afternoon they masked and whatever Maddie does, little sister wants to do to (within reason). They both enjoyed the pampering and felt like big girls! I also promised them I would paint their nails before school starts so they can have pretty nails for the first day of school. That was my big round up of life lately! 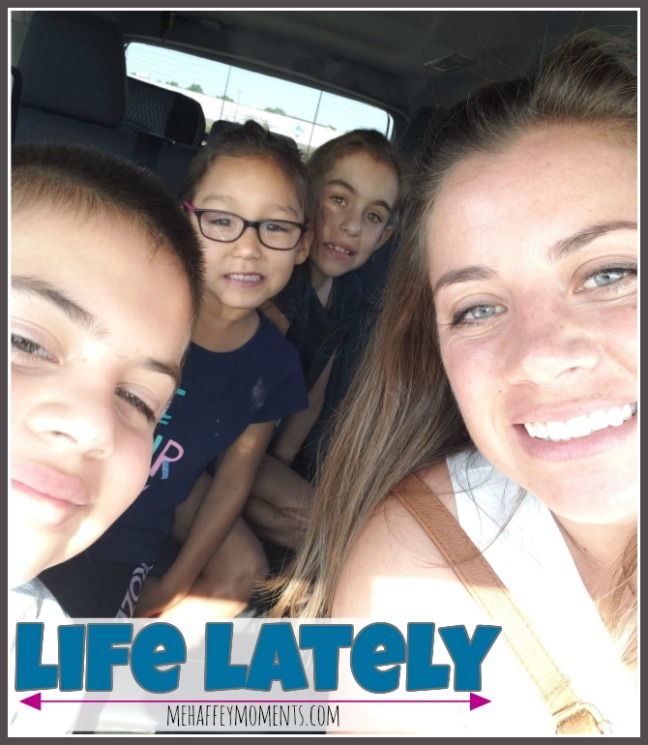 This week we are getting ready for school, getting things organized, starting our extra curricular activities and enjoying the last week and a half of lazy mornings. I always love all the pictures you post. Its a good way for me to keep up with the growing up of the kids. I really liked your umbrella/tent thing you had a lake. 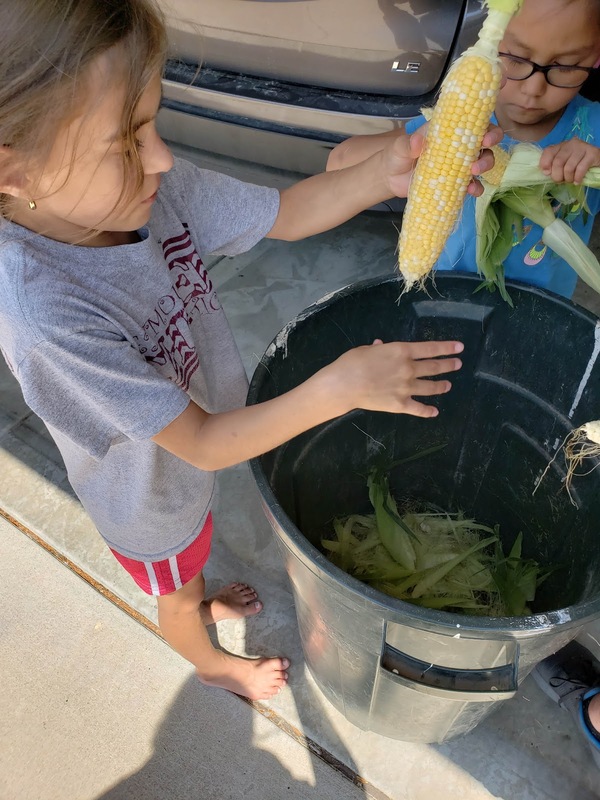 You do a great job keeping the kids busy during those long summer days. The horses will be sooooo good for Maddie! You guys are doing an awesome job raising my amazing great nephew and nieces. I told your mom we need to do a girls trip this next year to Pawhuska for the Pioneer Woman's Boarding house and shopping. Love to all!